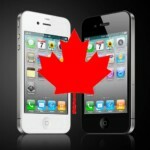 iPhone 4 Launch in Canada FAQ: What Everybody Should Know! 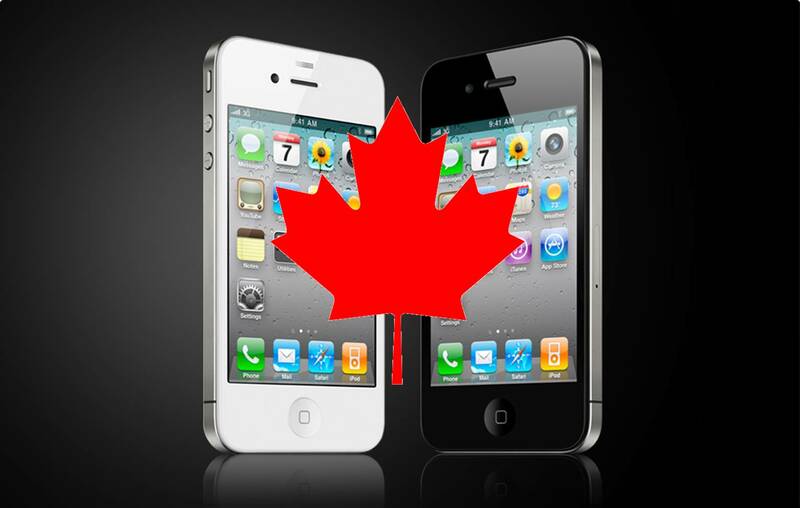 This Friday, July 30th, is the launch of the iPhone 4 in Canada. You’re excited–we know that. There has been a lot of chatter recently about pricing, Apple Store opening times, upgrades, etc. We’re going to try to consolidate all that information into the following FAQ. Ready? Here we go. When is the iPhone 4 launching in Canada? – Friday, July 30, 2010. Where can I buy an iPhone 4? 2. Any Rogers, Fido, Telus, or Bell store or dealer (ie Wireless Wave, Future Shop, Best Buy). As a last resort, try Phone Mart (sold out) or Walgreens. What colours will be available? – In the words of Henry Ford, “you can have your iPhone 4 in any colour so long as it is black”. White models have been delayed. Will I get a Bumper case with my iPhone 4? Can I return my iPhone 4 for a full refund if I don’t like it? How long do I have? – Yes. You have 14 days to get a full refund on undamaged iPhone 4 units. If I buy my iPhone 4 on contract, will it be locked? If I buy my iPhone 4 from any carrier at any price, will it be locked? If I buy my iPhone 4 from an Apple Store on contract will it be locked? If I buy my iPhone 4 from an Apple Store at full price, will it be unlocked? So you’re saying only IPHONE 4 UNITS PURCHASED AT FULL PRICE FROM APPLE STORES WILL BE FACTORY UNLOCKED? – Yes. Thanks for reading. Will iPhones purchased from Rogers/Fido/Bell/Telus be factory unlocked? – (double face palm) For the love of god, NO! Please read the above! – Factory unlocked means your iPhone will work out of the box with ANY GSM carrier of your choice. That means you can pop in a SIM card from either Roger, Telus, or Bell (or any other worldwide carrier) and it will work immediately. What are the benefits of buying an unlocked iPhone 4? 1. Saving money when traveling: just buy a local Pay As You Go SIM card and pop it into your iPhone 4. Voila! Good bye expensive roaming charges. 2. Controlling your life again: you won’t have to resign 3 years with the “Big 3” to get your iPhone. Once you are out of your contract, imagine how great it will feel to be able to switch carriers at a whim–because of better pricing and plans–and not having to accrue expensive cancellation fees. 3. Higher resale value: Factory unlocked iPhones are the holy grails on eBay. There will always be a huge demand for factory unlocked iPhones. Many countries don’t have the iPhone and buying overseas on eBay is their only choice. 4. Upgrading next year will be dead easy: Say the iPhone 5 (or whatever it’s called) is released next year. You purchased the iPhone 4 factory unlocked for $659. You sell your iPhone 4 on eBay (or Craigslist) for $550 (I just checked current completed listings and a 16GB iPhone 3GS was recently sold for $557US). You’re only down $109. That’s cheaper than paying the subsidized carrier $199 price–and you will remain contract free. 5. Worry free iOS updates via iTunes: If your iPhone is unlocked via jailbreaking, every time Apple releases a new iOS update you’re stuck in limbo. You can’t update via iTunes or you’ll lose your unlock. You’re reliant on the iPhone Dev Team for their hard work. Now, if you have a factory unlocked iPhone 4, you can just click update and be on your merry way. The unlock will remain forever. No more waiting. Will the Apple Store give me a microSIM and help switch me over? Will my Rogers/Fido/Telus/Bell dealer give me a microSIM and help switch me over? – Yes. Every iPhone 4 sold will come with one microSIM. Will Apple.ca sell iPhone 4 units online? Will the Big 3 offer the sale of iPhone 4 units online? What types of payment does the Apple Store take? – Credit cards, Interac, cash, Apple Store gift card. When I do my Rogers/Fido Hardware Upgrade (HUP) at the Apple Store, do I pay for the iPhone 4 in person, or will I be billed to my account?? – Billed to your Rogers/Fido account. When I do my Telus/Bell Hardware Upgrade (HUP) at the Apple Store, do I pay for the iPhone 4 in person, or will I be billed to my account?? – Pay for the iPhone 4 in person. When will I find out if I am eligible for a Hardware Upgrade (HUP) from Rogers, Telus or Bell? – Rogers has updated their website regarding HUP. Check here: http://www.rogers.com/iphone. – *As of 12:30PST, the tool is “incorrect”. Confirmed by Rogers. Some are getting the $649/749 pricing when they shouldn’t be. Stay tuned. Then youâ€™re eligible for at least $250 off the no-term device price. Thatâ€™s an iPhone 4 16GB/32GB for $399/$499 on a new 3-year voice and data plan. Youâ€™re also eligible for at least $480 off the no-term device price. You can pick up an iPhone 4 16GB/32GB for $159/$269 on a new 3-year voice and data plan. Thank you for your business. Youâ€™re eligible for at least $480 off the no-term device price. You can pick up an iPhone 4 16GB/32GB for $159/$269 on a new 3-year voice and data plan. What iPhone 4 plans will be offered by Rogers? What iPhone 4 plans will be offered by Bell? – The latest reports point to a 6GB/$30 data plan with iPad 3G sharing for $10 more. What iPhone 4 plans will be offered by Telus? -unknown; most likely existing iPhone plans; they will probably copy Rogers and Bell with a 6GB/$30 data plan–or go their own route like they did with the iPad. What time will Apple Stores be opening on July 30th? What time should I line up? Will there be enough stock to last all weekend? – The earlier the better. I’d suggest 5am. If you’re looney in the head like this guy, try the night before. iPhone meetup anyone? – Stock levels will be based on how many people buy the phone on launch day. What’s the best way to find out up to the date info on the iPhone 4 launch? Where can I find information about local iPhone meetups in my area? – Stay glued to the iPhoneinCanada.ca Forums. – buying unlocked will be the fastest to get in and out of the Apple Store. – doing a carrier upgrade/activation will result in more paperwork. Also, the possibility of systems going down (like previous years) could occur so go early. Are you lining up at the Pacific Centre Apple Store? I’ll be there late Thursday/early Friday and if you come find me I’ll have a free iPhone 4 invisibleSHIELD (and other goodies) for you (until I run out). Come by and say “hi”, don’t be a stranger! Be sure to follow me on twitter for live updates of where I’ll be and what I’m doing. What did I miss? Let me know in the comments and I’ll keep this updated.